The former Downton Abbey star makes his American stage debut. ong before Allen Leech drove himself and the Crawley family into American hearts in a 1920 Renault for the surprise 2010 PBS Masterpiece hit Downton Abbey, he was on stage in Killiney, County Dublin, playing the Cowardly Lion in a grade school production of The Wizard of Oz. “I was 11 and I was hooked,” the now 36-year-old actor says. It doesn’t get much more clear-cut than that for a calling. By 16, after two years working backstage at Dublin’s Gate Theatre, he had his first professional acting credit, playing the gentleman caller to Frances McDormand’s Blanche Dubois in the theater’s production of A Streetcar Named Desire. From there, he made the rounds around Dublin’s stages before getting into movie and TV work in the early 2000s. Laid back and cheekily modest in the way that belies his talent (in 2004 he described his first film, a made-for-TV movie about an Irish woman’s soul trapped in an American woman’s body, as “absolute shite” before knowingly rolling his eyes at the reporter), Leech has had constant work ever since. His credits range from independent Irish films like Cowboys and Angels, a critical darling that saw him play a manic pixie gay Limerick clubber, to Hollywood blockbusters like The Imitation Game and mainstream period shows like HBO’s Rome, Showtime’s The Tudors, and, of course, Downton Abbey, in which he played Tom Branson, chauffeur and Irish revolutionary who marries the Earl of Grantham’s youngest daughter, and for which he won three Screen Actors Guild awards for Outstanding Performance by an Ensemble in a Drama Series. Most recently, he appeared in the CBC show Bellevue, opposite Anna Paquin, a noted departure for Leech, not least because he got to wear modern clothing. Leech’s most recent stage work was in Mike Leigh’s 2011 London success Ecstasy – a role, incidentally, he took because he didn’t think his character would be renewed for season two of Downton – but now he returns to the floorboards, and is making his American stage debut to boot in the Geffen Playhouse’s production of Nick Payne’s 2012 Constellations in Los Angeles, opposite Ginnifer Goodwin. A famously dense two-actor play, Constellations traces the relationship of a beekeeper (Leech) and a quantum physicist (Goodwin) who talk through, at, and with each other using an assortment of esoteric principles of higher physics to examine both the struggle and the complexity of genuine human communication. The play premiered in London, where it was nominated for both Olivier and Drama League Awards, before being taken to Broadway with Jake Gyllenhaal in Leech’s role, where it earned similarly high praise, including a Tony nomination. designer Oliver Spencer noted of Leech for GQ Britain when Leech made the magazine’s 50 best-dressed people list of 2015, “Allen has a raw yet relaxed style. He’s funny and charming, but also has an air of danger about him.” What could be more L.A. than that? 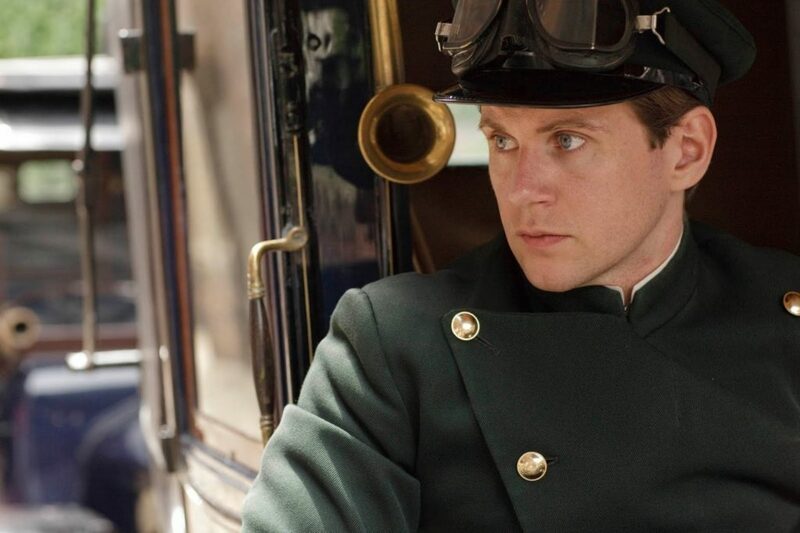 Americans know you as Tom Branson, the chauffeur in Downton Abbey. What did you love about Downton, and why do you think it was so popular over here? I think what made Downton so popular was the characters. Julian Fellowes did an incredible job of weaving the lives and stories of 20 or so main cast together. It’s what I loved about it too. 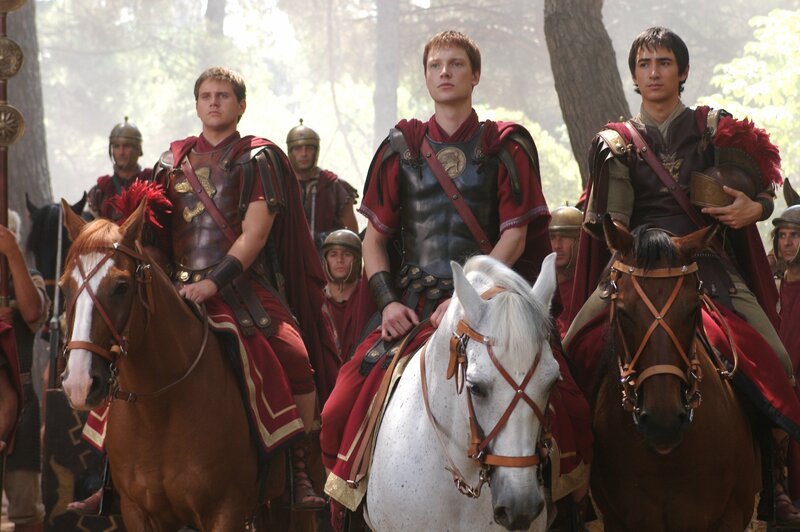 Julian Fellowes did a good job shedding light on Irish history in the script. Did he ever talk to you about Ireland, or his own Irish roots? Yes, we did speak about it quite a lot. His brother still lives on an island off Kerry. You actually had to learn to drive a vintage Renault for Downton. What was that like? I loved driving that car. It was amazing to drive a car built at a time when there were no rules as to the placement of pedals or brakes. Levers and buttons everywhere. Like flying a plane. How are you preparing for your role in Constellations? Did you have to learn a lot about quantum mechanics and string theory? I’ve dipped my toe in. I fear any further and I’ll enter a mental black hole. What are you most excited / nervous about in your American debut? I’m very excited about the play as it’s a really fascinating and touching work by Nick Payne, and working with Ginnifer Goodwin, and I’m always nervous about doing a play. How does it feel to be returning to the stage? It’s where I started in this business and I always want to do more theater like so many actors. So I feel very lucky to get the opportunity. Were your parents supportive of your decision to become an actor? They were very supportive. But the ground rules of an education first were put in place, so I had to get a degree. Thankfully drama and theater studies in Trinity College took me in. Any relation to the famous Irish painter William John Leech? Apparently we are related somewhere down the line. Leech isn’t a very common name, so I imagine we must be. Do you have a favorite spot in Ireland? I’ve always had a great love of Connemara, County Clare. The mountains and the views are spectacular. Do you have a favorite line from a movie, play, or book? I like all music. All genres except German heavy metal. Do you have a favorite group or musician? I have too many to narrow down. The script of Constellations, and two books I’ve been threatening to finish for five months. What quality do you seek in friends? Yes, the last one was with a professor who builds parts of satellites for Elon Musk. A walk on Killiney beach followed by pints in Finnegan’s in Dalkey. In L.A. a great friend of mine has a gym called Training Mate. It’s fantastic. And well worth a visit if you’re in town. If I do it’s well hidden even from me. Previews for Constellations begin June 6 at the Geffen Playhouse in Los Angeles. *Editor’s note: Constellations’ run has been extended through July 23.